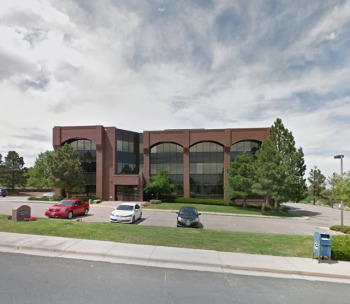 In the heart of West Denver’s most prized business location, at Union Boulevard and West Second Place, Financial Plaza at Union Square offers a wealth of uncommon features and comforts in a striking natural environment. The timeless architectural design and the simplicity of wood and brick are effortlessly integrated with travertine marble and copper columns and accents. Ample lush landscaping adds to the ambiance, yet there is abundant surface covered parking. 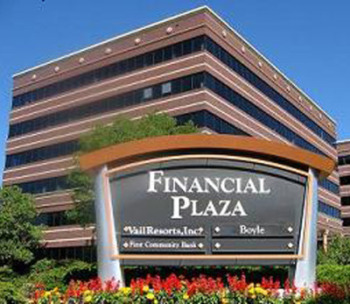 Located just twelve minutes from downtown Denver and an hour’s drive from Colorado’s world class ski resorts, Financial Plaza at Union Square commands business and social amenities that are second to none while offering full-time on-site management and day porter services. This outstanding four-acre site presents views of the city to the east and the Rocky Mountains to the west. 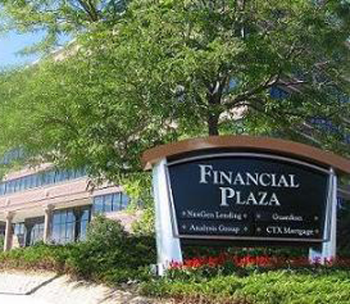 With its unique combination of exquisite architecture, fine materials, most desired amenities, and proximity to the mountains, Financial Plaza at Union Square is unquestionably Denver’s most distinctive business address. © 2017 Howard Dobbs Real Estate Group, Inc. All Rights Reserved.